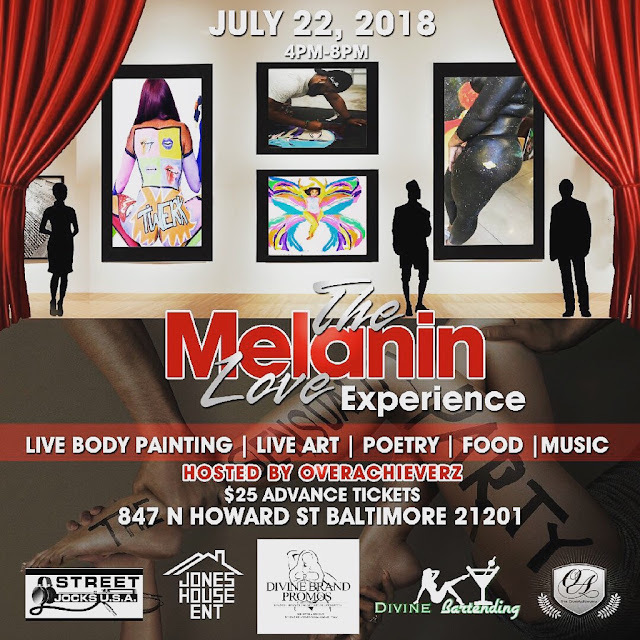 Artscape Baltimore "The Melanin Love Experience"
An event to explore sensuality through Music, Live Body Painting, Art, Poetry, and Food. This event is to bring back self love into ourselves as African-Americans and love back into our families and relationships. 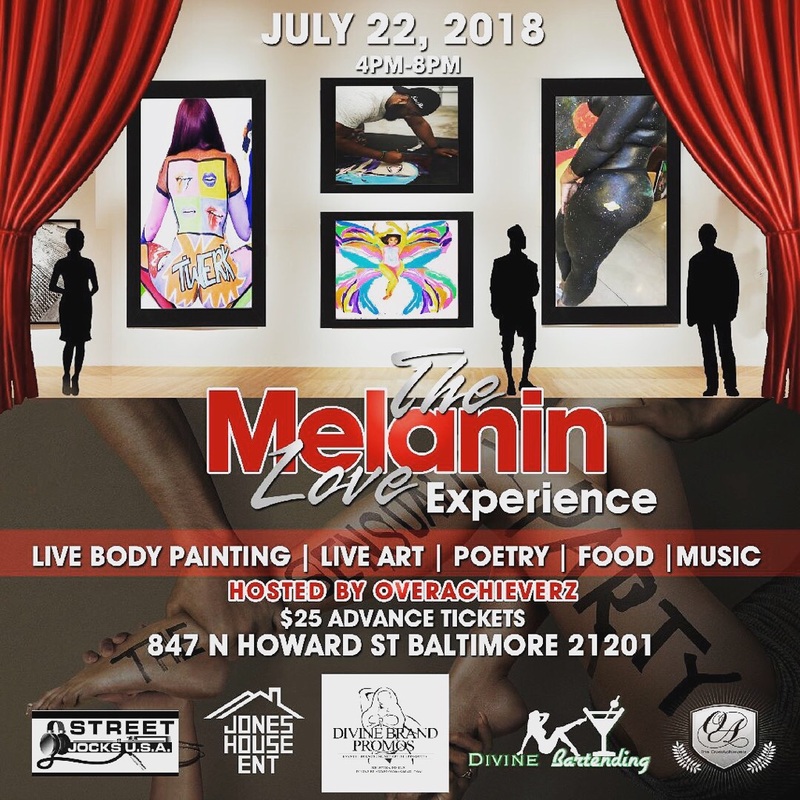 Featured vendors include cannabis infused deserts, body painting, and more. This event is hosted by Overachieverz.